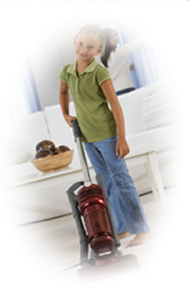 Trust in professional sales and service of high-tech central and upright vacuum cleaners from Comer's Vacuums! In addition to our vacuum cleaners, our 4-year-old company carries numerous janitorial supplies. We truly care about you, and provide you with the best prices and service in the industry. Visit our shop in Decatur, Georgia, for high-quality upright and central vacuum cleaners, as well as janitorial supplies. Our owner managed a large vacuum business in Atlanta for 10 years before deciding to start this company. You can find us in the South Dekalb Office Park. Our staff has 15 years' combined experience, so contact us today. Call or drop by our store for dependable central and upright vacuum cleaners.